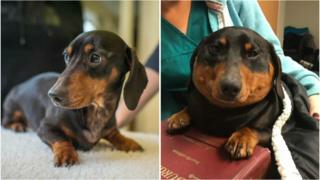 It’s the wurst thing that can happen to a sausage dog – ending up looking more like a meatball. 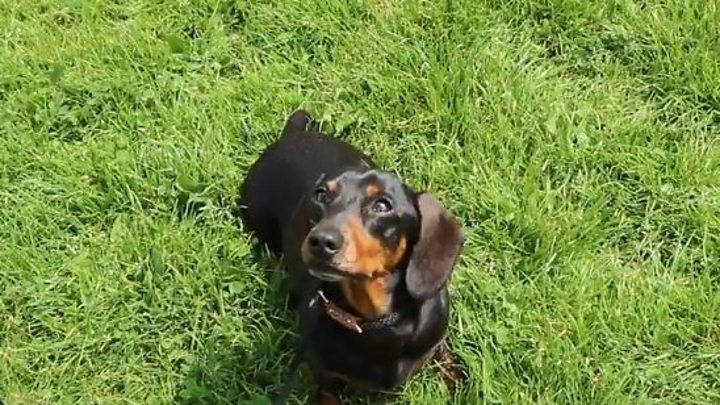 The four-year-old pet, named Trevor, went from wiener to whopper when a hole in its windpipe left air trapped under its skin in a rare condition. But vets soon had the distended dachshund back to its saveloy-like self after a minor operation to “deflate” it from three times its normal size. “He’d blown up like a balloon,” said owner Fran Jennings. Worried Ms Jennings, from Lymm in Cheshire, rushed the animal to an emergency vet after it bloated and began to suffer breathing difficulties. 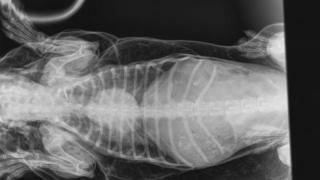 X-rays showed every time the pet drew a breath, air was being forced under its skin and was affecting its heart. Ms Jennings said: “We put him straight in the car and took him to the emergency vets and they had never seen anything quite like it. Tests were carried out and the dog was diagnosed with sub-cutaneous emphysema, an abnormal collection of air under the skin. 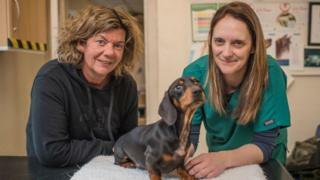 Vet Michelle Coward of Beech House Surgery in Warrington performed a procedure to relieve the pressure and stitch up a hole in the dog’s windpipe. She said: “I have never seen a case like this before and it was a new surgery for me. “There were no external injuries that would explain how air had got under the skin, so we suspected that an internal injury to the airway could have been allowing the air in. Ms Jennings’ daughter Jessica, who shows sausage dogs at Crufts, added: “He looked like a big fat seal. His whole body was like a blob. “It was horrible seeing him like that. We had to deflate the air out of him, it was weird.